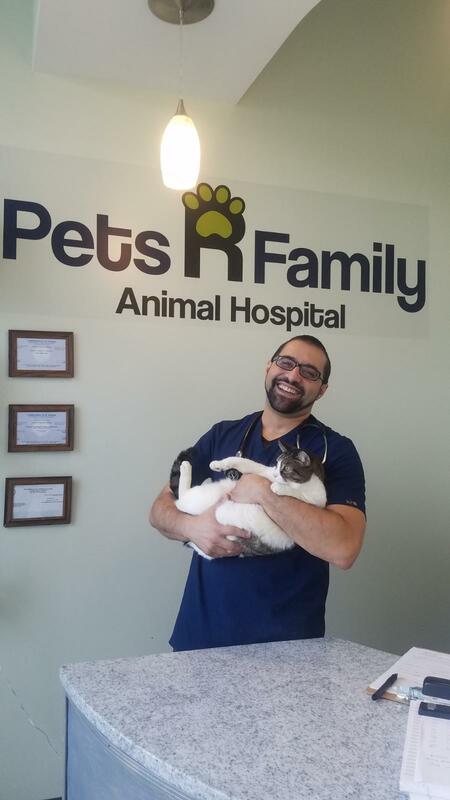 Dr. Zraibi is committed to providing excellence in veterinary care, and stands out as a leading veterinarian in Woodbridge. The doctor uses the latest in veterinary techniques to provide your pets with exceptional care. Read more about our veterinarian in Woodbridge, VA below. Dr. Zraibi is a graduate of a Veterinary school in Cordoba, Spain. He has practiced as a veterinarian in the United States since 2008, adopting many pets along the way. His ‘fur’ family consists of Buddy – a chihuahua mix taken in after his previous owner’s could no longer keep him, Cody – another chihuahua mix rescued from a shelter in Kansas, Daisy- a young jack Russell originally from Russia, our resident ‘clinic cat’ Lily, and an African gray parrot named Rio! His 2 young kids, a collection of pets, and new clinic keep him very busy but in his free time, he enjoys studying astronomy and physics.